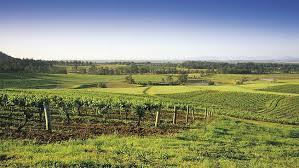 North of Sydney lies the region Hunter Valley, Australia’s oldest wine region. The location is ideal and therefore attracts a lot of tourists that come to visit the valley in the old traditional vineyards and one or more of the 150 wineries. Wine lovers can get acquainted with the taste of Chardonnay, the sparkling Semillon and Shiraz. 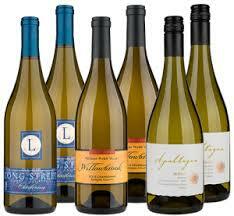 Famous wines include the special Semillon-Chardonnay blends of wineries Lindemans and Rosemount. Besides tasting these excellent wines Hunter Valley also offers quaint shops that are suitable to wander around for hours and good restaurants for a delicious meal. 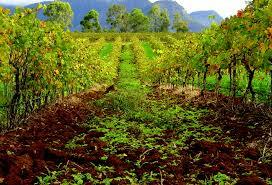 Much of the knowledge that has led to the growth of quality Australian wines, was developed in Hunter Valley. 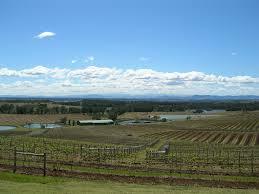 As Australia’s most visited wine region, Hunter Valley is approximately 2 hours drive from Sydney. Hunter Valley is the oldest wine region of Australia and up until today counts as most traditional appellation of the country. The area can be divided into two parts; Lower Hunter Valley, Upper Hunter Valley. By 1823 some 20 acres of vineyards had already been planted on the northern banks of the river and what is now the Dalwood /Gresford area between Maitland and Singleton. The early pioneers of the Hunter Valley’s long wine making history were George Wyndham of Dalwood, William Kelman at Kirkton and James King of Irrawang. The Hunter Valley’s future was further assisted by the arrival of amateur viticulturalist James Busby – an opinionated gentleman who, returning from the second of two extensive study tours of the wine growing regions of Europe, arrived back in the Colony of New South Wales with a collection of some 500 vine cuttings drawn from collections and private plantings in Europe and South Africa. In 1824 he planted the first vine in the area. 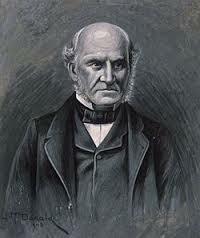 He is considered the father of Australian wine. 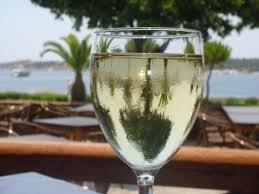 The wine industry grew here until the end of the 19th century, when the wine arrived louse. From then until the mid-50s wine growers turned to the production of dessert wines. The rebirth of the table wine production started around 1960. Because of the large investment drive, the development was very quick. Fine, dry table wines were gaining in popularity and the wine industry could once again flourish. In 1963, Dr Max Lake established Lake’s Folly, the first new vineyard planted in the nineteen hundreds, and thus marked the beginning of a great spell of development. An unfolding of boutique wineries ensued, which is what still characterises the Hunter Valley today. The subtropical climate is not so good for wine here, but because of the historical traditions, the production is still continuing. It is very hot and humid and the rain is the biggest problem. At harvest time it often rains and the humidity is very high. In January the average temperature is 22.7 degrees Celsius. The soils in the Lower Hunter Valley are very different from a soil of a loose structure with a solid surface to deep, reddish-brown soil. 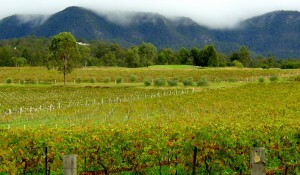 In the Upper Hunter Valley there is much less rain than in the Lower Hunter Valley. Artificial watering is therefore necessary. The average temperature in January is 22.3 degrees Celsius. Unlike the Lower Hunter Valley at the end of day a cool breeze blows here. The soil is greyish clay mixed with sand and here you will find deep, reddish-brown soil. The summer heat is tempered by the heavy cloud cover in the area. This unique combination of high heat and relatively little sunshine here explains why soft, not too strong, dry wines are made. 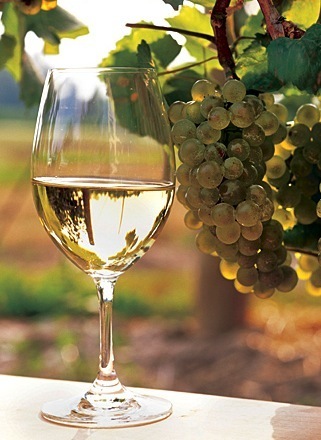 Huner Valley produces a lot of white wines.The Chardonnay grape is the most important grape of the Hunter Valley. The wines from this grape are beautiful and elegant, ranging from buttery to fresh and fruity.On more than half of the state area Chardonnay vineyards have been planted. About a quarter of the valley is occupied by the Semillon grape vines which also produce a well-known wine. The small amount of red wine comes from Shiraz, Cabernet Sauvignon and Pinot Noir. The Hunter Valley is home to some of the oldest and best-known wine producers in the country. With over 180 years in the business, these producers have a wealth of experience in growing and producing their own unique wine styles. While steeped in tradition, the Hunter Valley also boasts new and upcoming talent in the wine industry. As well as the more traditional Hunter Valley wineries, there are also numerous innovative young growers, utilising new techniques to develop new styles and flavours. At many of the cellar doors you can sample a broad selection of wines, or join a wine tasting master class which includes rare vintages. Some cellar doors you can visit by simply turning up, but others require advance bookings. Spend the night in boutique guest houses or dine in top quality restaurants featuring some of the world’s finest wines in the historic towns of Pokolbin, Wollombi, Broke, Lovedale and Maitland. On a specialised wine tour you can visit several wineries in a day, including some of the latest winemakers. Today, the Hunter Valley is certainly one of Australia’s most well-known wine regions, which, since its foundation, has produced many fine, world recognised wines. There are over 150 wineries producing a wide array of exceptional wines reflective of their origin, of which the Chardonnay grape takes the biggest part. I have reviewed some of Hunter Valley’s great Chardonnays here. If you have visited this area, you will certainly affirm the quality of the wines, and in particular the Chardonnay. Let me know which Chardonnay from this area you prefer. Feel free to leave a comment or your question and I will come back to you within 24 hours. HI Jerry! I was really impressed by your latest post and your site. It is very clean with very simple layout, but very attractive and informative. I am dry wines’ fan. I like wines and know a lot about them. 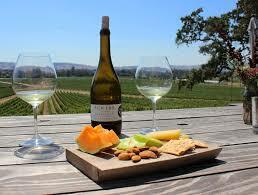 But while reading your article about the Hunter Valley area and Chardonnay, I really want to raste it ince more. I’ll find it in my country and buy. I also liked your articles about wine and food pairings and wine tastings. i would also reccommend to write information about the temperature of different wines consumption and about wine fridges and wine cellars. 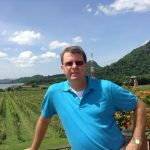 You may also start working on these products with corresponding affiliate partners. Good luck! Continue following you! Wow! I love Chardonnay!! It has a light and sweet taste and it was definitely something I love to have when I kick back and relax. Never knew that it was grown mainly here in Australia so I’ve learned quite a bit from this. Thank you for a well detailed post on it! Looking forward to trying some of those other wines you mentioned above. This makes me want to visit the area, it is beautiful that historical traditions have overpowered obstacles. Where I am from, there is not so much commitment to tradition, making me value it even more. As for the post, I definitely look forward to reading more of what you have to offer. I have yet to try Chardonnay from the area but I feel like I must- probably will!